Venues in Brighton, Bexhill, Birmingham, Chichester and Eastbourne Call now to book your trial session! Alumni Hetti Bywater in big Eastenders mystery! Toby Murray secures leading role in Adrian Mole musical! Christmas Recitals were a magical success! Madeline Holliday stars in Professor Branestawm with Harry Hill! Tia-Lana Chinapyel in National Theatre role! Amy Leigh Hickman to star in Swansea Pantomime! Hungry Wolf Auditions- Register Now! Leo Heller in To Kill A Mockingbird! TTW becomes Brighton partner of OPEN MIC UK! TTW alumni wins Britain’s Got Talent! 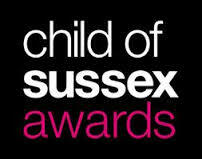 The Theatre Workshop sponsor Child of Sussex Awards! Alice Kerrigan, Success at Bristol Old Vic!